Join Annie & Peter Hill on a voyage in Badger along the Brazilian coast and on to the Falkland Islands. Includes useful sketch charts of the out-of-the-way ports they visited. This is the long-awaited and much-anticipated second book by Annie Hill, author of Voyaging on a Small Income. For all those who have been entertained by Annie and Pete Hill's saga on Badger, the voyage continues. Now, Badger and her crew are off for the sailing adventure of a lifetime to Brazil and the Falkland Islands. 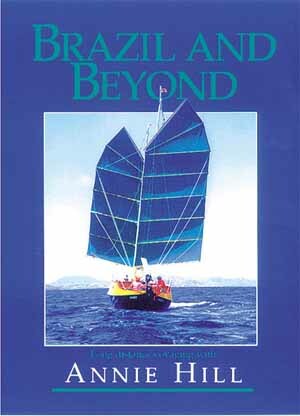 In her typical, well-written fashion, Annie gives us enough technical information to satisfy any sailor as well as plenty of travel adventure to satisfy the sailor's soul. Rejoin Annie and Pete aboard Badger for an exploration of the east coast of South America and the Falkland Islands in Brazil and Beyond.